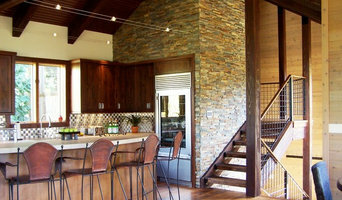 Anthracite Builders has over 40 years of experience in the remodel and new construction business. Award winning and recognized by the Board of Zoning and Architectural Review in Crested Butte for historic preservation. We pride ourselves in the high quality and attention to detail of each unique project whether its an historic cabin, a commercial restaurant, an exclusive private lodge or a family retreat. Whether you are a future homeowner wanting to start construction or a contractor looking to subcontract some of the work, we have over 20 years of experience to help you out. With the right equipment and expert crew, you can be well on your way to move-in day. In 1997, Matt Young, a native from Buena Vista, saw a need for a honest, dependable construction company. Since then, his mission has been to always bring you that honored service you know today. Over the years, we have provided quality construction services to meet your needs and demands. No matter what your budget is, we can provide you with a custom home that fits your budget, if not below your budget. B&H General Contractors, Inc. has been in business since 1994. Started by Brad Faber and Hans Raaflaub, two construction professionals with a long history of working together in the Roaring Fork Valley prior to the inception of B&H. Brad and Hans have brought their hands-on management style to every project, no matter the size. B&H has a core group of employees that have been with the company for 10 years or more. Communication between the field and the office is clear and constant, in an effort to produce the best possible project , within budget and on time. The company is co-owned by Brad & Hans. Brad's time is divided between the field and the office, overseeing the day to day operations of each project, bringing essential coordination between our jobsite superintendents and project managers to insure quality and scheduling compliance. Hans oversees the company's project management, estimating, contracts, billing, insurance and legal compliance. Hachmann’s Custom Building was founded in 1991 by Stan and Shirley Hachmann in Buena Vista, Colorado, to build quality custom homes and has remained a family owned business for more than 20 years. In 2009, Stan and Shirley’s son, Abe, a Professional Structural Engineer, began working alongside Stan to continue building homes for another generation. Hachmann’s Custom Building is often requested as one of the top custom homebuilders in Chaffee County. We pride ourselves on our quality, professionalism, and attention to detail. We take a highly collaborative approach with every project, working closely with our customer, architects, and the rest of the planning team before breaking ground on each custom home. Our construction management approach results in on time, on budget projects of the highest quality and the best value. 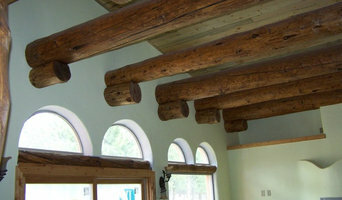 Frontier Log Homes has been in business for 40 years building the finest log homes in the country. Our craftsmanship is top in the industry. We offer a general contracting service or we can build your log home kit and work with your local contractor to complete the project. Whether your dreams include a new home or an improvement to your present one, SmithWorks Natural Homes will work with you to create custom spaces that will perfectly meet your family’s changing needs. Regardless of the construction style you select, we will incorporate the latest and most environmentally-friendly products and building methods available to create a home that is healthy, energy-efficient and inviting. General Contractors in the Aspen and Roaring Fork Valley. Our reputation is built upon successful projects and satisfied clients with schedules and budgets taken very seriously. No one likes surprises during a project and our highly experienced personnel (averaging over 20 years of Aspen construction) excel at anticipating potential problems before they have a chance to appear. What sets us apart from the rest is our attention to detail and David’s personal attention to every project from small remodels with simple finishes to extensive high-end projects. We have developed a high level of respect from the building professionals in our community including architects, engineers, interior designers, subcontractors and vendors. Great emphasis is placed on developing and maintaining good working relationships with the individuals and governmental entities who regulate the planning and building process in the upper Roaring Fork Valley. We create place. What is place? We think of it as space that is timeless and loved. It needs to be defined. It must be in a context and a stream of history. And it needs to connect people on an emotional level. We take it a step beyond real estate development… Half of it is great architecture and half is great uses. It is where people want to be and where they want to hang out. It attracts people and promotes relationships. In a virtual world, it offers something “real”. Creating place is a complex process. Brynn Grey brings to that process extensive experience in visioning, design, planning, construction, contracts, law, finance, marketing, property management, public relations and public/private partnerships. Add to that an extensive network of experienced and enthusiastic design, marketing and real estate professionals and we are, well, indefatigable. While most in our industry were heading for cover during the worst real estate downturn since the Great Depression, we continued to invest and develop. And that is the beauty of creating place. In addition to being timeless and loved, it is remarkably resilient during economic downturns. Whatever your interest in real estate or creating place – property owner, investor, developer, retailer, planner or elected official – we welcome a chance to chat. Established in 1998, Campbell Construction & Engineering specializes in building unique Custom Homes in Summit County Colorado. Custom Home Building, Construction Management, Remodeling and Home Maintenance. At Sherlock Homes we feel fortunate to be able to live and raise our families in these mountains. - The passion with which we live this lifestyle is the same ethic our team brings and demands of anyone involved with each of our home building projects. - We celebrate our good fortune by working with clients who are passionate about crafting spaces in harmony with life and the world around us.. - We are committed to providing a building experience for you that harmonizes with the other experiences you will have in these mountains! Steve Smith Construction Company, Inc.
What’s the most important step in building a new house from the ground up? Many people would say it’s choosing the right Crested Butte home builder. Constructing a new house is a huge and multifaceted undertaking, so it’s important to find custom home builders in Crested Butte, CO you can trust to bring your vision to life, as well as keep the process under control from start to finish. Although a construction job is never without surprises and challenges, a Crested Butte, CO home builder who’s a good fit for your specific project will make these far easier to handle. For Crested Butte residential home builders who also act as developers, the job starts well before the first nail is driven. They perform local market research to determine whether the prospective homesites make sense in the Crested Butte, CO market, as well as survey the land on which the house will be built to make sure it is suitable for construction. Custom builders also obtain the necessary permits. 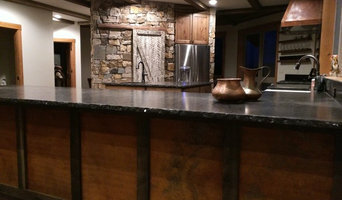 A good custom home builder in Crested Butte, CO has skills that go far beyond construction — he or she must supervise subcontractors and artisans; keep tabs on local zoning regulations, building codes and other legalities; inspect work for problems along the way; and perform dozens of other roles that are essential in building a quality house. Here are some related professionals and vendors to complement the work of home builders: Interior Designers & Decorators, Landscape Architects & Landscape Designers, Architects & Building Designers, Kitchen & Bath Designers, Specialty Contractors. House builders are responsible for ensuring that the home-building project sticks as closely as possible to the specified timetable, particularly in the event of change orders. Custom and luxury home builders in Crested Butte, CO also need interpersonal skills to deal with clients of all types, soothe frazzled nerves, negotiate conflicts and resolve problems. Find custom home builders in Crested Butte, CO on Houzz. 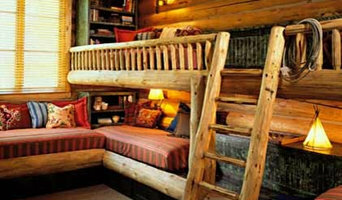 Narrow your search in the Professionals section of the website to Crested Butte, CO home builders. 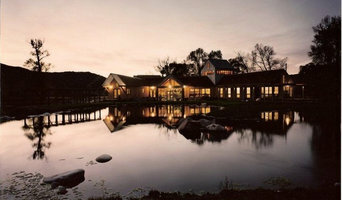 You can also look through Crested Butte, CO photos to find a house you like, then contact the builder who worked on it.